Levi is a Sony Computer Entertainment (SCE) media publisher, who has written, produced, directed, presented over 120 short-story animated videos for broadcast to a global audience in excess of 40 million. Levi’s team has produced music, commercials, radio shows, corporate videos and print campaigns for several high-profile studios. He is founder of a Palm Springs-based game studio and video production company that conceives, develops and publishes 3D digital in-game merchandise for the Sony PlayStation gaming console. Levi specializes in bridging individual participation, business engagement and brand awareness – credited for developing, leading and growing the Greater Palm Springs Film Alliance & Film Office’s new business strategy and brand identity. The Greater Palm Springs Film Alliance & Film Office has grown to become the foremost authority on film and photo production in the Coachella Valley and has received countless accolades from prominent members of the film and television industry. 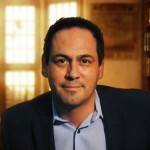 Levi has received the SBEMP Entrepreneur Award for 2015, the Inland Empire Spirit of Entrepreneur Award for Emerging Platforms (semi-finalist), awarded the United States Certificate of Special Congressional Recognition for Business Achievements, and the California Legislature Assembly Certificate of Recognition. He currently sits on the board of the Desert Screenwriters Guild and adviser to multiple digital arts and technology scholastic programs with the local public school districts. A Dramatic Arts graduate, Levi was quick to produce two successful off-Broadway shows, which he credits as the most important learning experiences of his entertainment career. 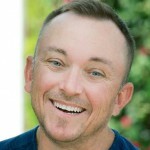 With over 20 years in the entertainment industry Ricky has had a successful career being the creator of the cable series “BoysTown”, that he wrote, produced, directed and played one of the lead characters for the cable network OUTtv in Canada and Europe for two seasons. Ricky held all auditions and did the casting for the hit show along with his feature film “Heels” that was released in 2010. Ricky is enthusiastic to be joining the Greater Palm Springs Film Alliance & Film Office that also provided him assistance with background actors, locations and permits on his latest project a T.V. pilot titled “Some Kind of Wonderful”. The pilot was filmed in Palm Springs and stars Greg Louganis, Rosemary & Newell Alexander (Sordid Lives) along with several other celebrity names attached. As V.P. of Casting, he is looking forward to growing the talent division and working with local actors on film, T.V., print and other productions that will take place here in the desert. With more than 30 years experience, David has led the planning, creative development and implementation of marketing campaigns for products and services across many categories and communication platforms. 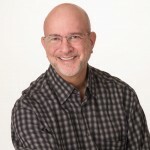 David has developed and executed sales-generating campaigns in categories such as retail, packaged goods, financial, quick service restaurants, fitness, hardware retail, computer corporate and education sales, Information Technology, video gaming, theme parks, toys, data management software solutions and most recently, the TV station industry. David is a leader in results-driven marketing. He has led campaigns that increased revenues for McDonald’s, Discover Card, Sea World and Busch Gardens, US West, Wendy’s, Arby’s, Ace, Van Kampen, Sun-Times, Kraft, Turtle Wax, Illinois Lottery, Ohio Art, and Ultra Diamonds. With wide-ranging experience covering consumer-based communication, business-to-business, event marketing, promotion, retail, direct response, retail point-of-sale merchandising, web communication and Social Media, David has worked at Chicago Advertising Agencies; J. Walter Thompson, Foote, Cone & Belding, DDB Needham and the CBS Affiliate for the Coachella Valley in California – KPSP Local 2.